The S.C.O.I. 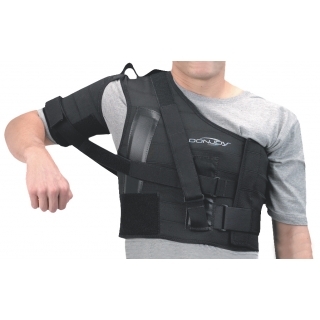 Shoulder Brace offers immobilization for rotator cuff repairs, capsular shifts, Bankhart procedures, and prosthetic shoulder replacements. The S.C.O.I. 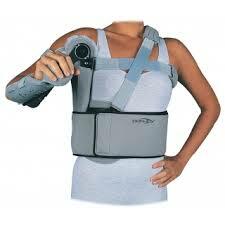 allows for 30°-150° of abduction/adduction.